“Grief Diaries: Loss of a Spouse” is now available on Amazon in paperback. Part of the Grief Diaries series dedicated to offering comfort, company and hope in the aftermath of life’s challenges and losses, Grief Diaries: Loss of a Spouse is a collection of intimate and candid narrations from different writers about their journey through losing a spouse. In chapter one, each writer bravely penned the moment when their familiar lives disappeared along with their dearly beloved’s last breath. The writers were then presented with intimate questions pertaining to their loss, and their responses are compiled within the individual chapters. These narrations are unabridged, as every voice is unique. But no matter the differences, the stories contained in each Grief Diaries book is a treasured reminder that none of us walk the journey alone. Welcome to the Grief Diaries village, where grief transcends all differences and unites us in the aftermath. Welcome, bereaved friend, to company, comfort and hope. 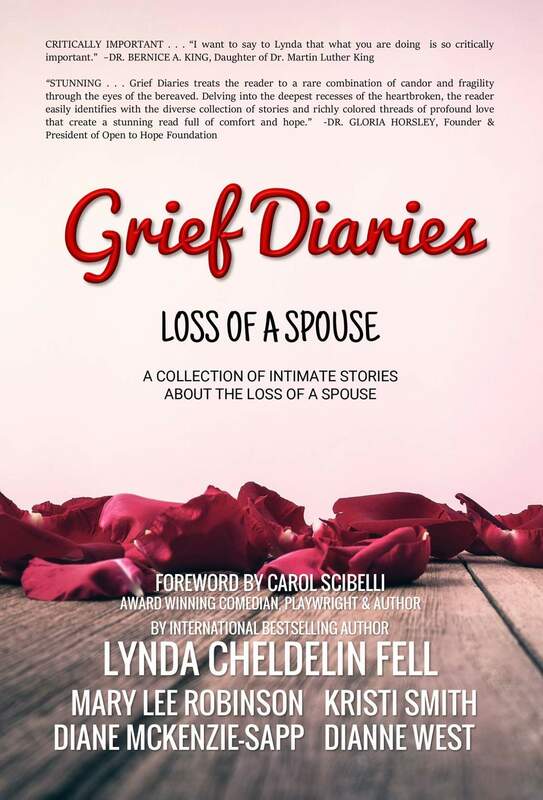 “Grief Diaries: Loss of a Spouse” is one book in a series on grief. Be sure to check out the other books in the series.